 Paul Watte presently serves as Director of Property Management Services with True North Investments. Mr. Watte has over 25 years of diversified commercial real estate land property management experience covering facets from day to day management, financial reporting and project management to leasing and acquisition. Mr. Watte has successfully managed portfolios in excess of 10 million square feet. This success has been founded on the basic principles of listening to the owner’s goals and objectives and implementing a sound management plan. In addition to his experience in operational procedures and financial reporting, Mr. Watte is knowledgeable in construction management, construction technology, building systems, ADA compliance, environmental and “green building” technologies. He has directly managed properties for numerous institutional owners including Equitable Life Assurance, General American Life Insurance, New York Life, UBS, Allstate Insurance, Bank of America, Bank of Boston, Harris Bank, and Superior Bank. Prior to joining the True North Investments team, Mr. Watte served as an executive with NAI Hiffman Assets Management with responsibilities for new business procurement, client retention, staffing and training and President of the NAI Property Management Council. He rejoins the principals of True North Investments having previously worked with them at Hiffman Shaffer Associates. Mr. Watte has been a member of Building Owners and Managers Association (BOMA) and completed all course work for the Certified Commercial Investment Member (CCIM) designation. In addition, Mr. Watte has completed numerous courses at the University of Wisconsin School of Real Estate for project/and construction management and financial analysis and is currently undergoing training for Leadership in Energy and Environmental Design (LEED).